Kelsey Bannon is Director of Organizational Development at the Institute for Health Metrics and Evaluation (IHME) at the University of Washington. 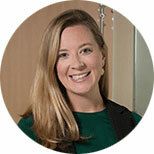 In this role, Kelsey works to strengthen institutional support for a high-achieving, diverse, and ambitious team while helping to secure resources aligned with IHME’s growth needs. Kelsey leads the team that develops IHME’s slate of proposals, which involves setting the groundwork for the launch of newly funded research. Another core component of Kelsey’s work is finding strategic ways to recruit and sustain high-achieving staff and innovating on existing systems to help IHME realize its full potential. At the heart of IHME’s research is people, and Kelsey helps the organization fulfill its commitment to fostering the next generation of health metrics professionals through our training and fellowship programs. Since joining IHME in 2009, Kelsey has served in many different roles at IHME. She started on the Strategy Team, where she helped to launch the proposal team and provided strategic guidance for the implementation and execution of a number of large-scale, high-impact projects, including Gavi Full Country Evaluations, Disease Control Priorities Network (DCPN), Access, Bottlenecks, Costs and Equity (ABCE), and HealthRise. She has been an emissary for IHME with multiple audiences, representing the institution to donors, ministries of health, and prospective staff alike. Kelsey received her master’s degree from the Evans School of Public Affairs at the University of Washington and her bachelor’s from Scripps College. Masters SH, Burstein R, DeCenso B, Moore K, Haakenstad A, Ikilezi G, Achan J, Osei I, Gashong B, Kisia C, Njuguna P, Babigumira J, Kumar S, Hanlon M, Gakidou E. Pharmaceutical availability across levels of care: evidence from facility surveys in Ghana, Kenya, and Uganda. PLOS ONE. 2014; 9(12): e114762.